The period of stasis is hardly over but at least our mental acuity begins to improve this week as Mercury in Aquarius picks up speed going forward. We might not be able to do much more than plan our next move for now with Mars in Libra still standing in place twiddling his thumbs and Saturn in Scorpio doing the same. It’s not all bad news out there. Monday the Pisces Sun conjoins Chiron with both sextile Pluto in Capricorn. The message here is to exercise our capacity for compassion and forgiveness towards those who have inadvertently hurt our feelings. After all not everyone is out to get us . . . it just feels like that sometimes. Wednesday Venus leaves earth bound Capricorn for the airy realms of Aquarius and promptly embraces her unconventional, experimental side. Libras will probably love this change once they get used to it but not Taurus folk. Taurus loved having Venus in Capricorn because Capricorn respects the conventions and knows a bargain when they see one. Fire sign folk are going to be big fans of Venus in Aquarius since they enjoy the unexpected and like to be kept on their toes. I seriously doubt if the water signs will be thrilled about it, especially Scorpio. Aquarius has a way of bringing out Scorpio’s jealous, possessive side. The last planet of the four changing directions this past week is Jupiter in Cancer. It is stationing direct on Thursday, March 6 still part of a waning square to Uranus in Aries. This square begins to tighten again by the second week in April and continues to generate angst in the background the whole time. So begins the final months of Jupiter’s stay in family oriented Cancer before it blasts into flamboyant, fiery Leo in mid-July. The calmer skies this week allow us to gradually begin to adjust the slower pace with fewer distractions, plus being able to draw on Mercury in Aquarius’s cool rationality is a real bonus. It is a great time to take inventory of our resources and decide how to use those most effectively in the days ahead. As I mentioned in my post on retrograde Mars in Libra, March is the calm before the storm. You might not be your usual energetic self this week, Aries, and consequently it could take you longer to do what needs to be done. This state of affairs will gradually improve over the next week or so. The mood on the home front begins to improve now too. Your one-on-one relationships could turn into head-butting contests this week if you are careful, Taurus. It is up to you to choose how to resolve what can appear to be a stalemate and settling this sooner than later is a good idea. Atmosphere at work improves later this week. Having your mental gears in good working order is a very welcome change for you, Gemini. In a way it doesn’t matter how many challenges you need to juggle as long as your mind is crystal clear. Creative projects may be a source of frustration this week. There is a subtle but powerful sea change occurring for you this week, Cancer, and it has to do with a renewed feeling of confidence in yourself. Nurture this feeling by giving yourself a pat on the back frequently for a job well done. Good time to take a break from family and any home improvement projects you might have going, Leo, because either may cause your blood pressure to spike right now. It would be a lot more fun to plan a fun weekend for you and your significant other. One thing you have in common with Gemini, Virgo, is a deep appreciation for being able to think clearly again. This comes in handy when setting your priorities for the coming week. Be sure to schedule time for doing something relaxing with your sweetheart. It won’t hurt to give yourself permission to get some extra sleep right now in order to keep your batteries charged, Libra. You probably have had plenty of demands on your time and energy lately. Opportunities to express your inner child are just around the corner. If you are feeling all your hard work is somewhat unappreciated these days, Scorpio, please don’t take it to heart. Hanging out with children or a favorite spiritual advisor could help improve your state of mind. The worst of this should pass fairly soon. Conversations with your peers could turn into arguments this week, Sagittarius, and whether or not this is a problem for you can depend on your tolerance for a heated debate or two. You may notice your outlook in general improving as the week progresses. Your week might start off with you feeling a sense of solidarity with your close friends or siblings, Capricorn. Savor that support as you end up having to bite your tongue one more time when talking to your boss. Relations improve with your significant other now. 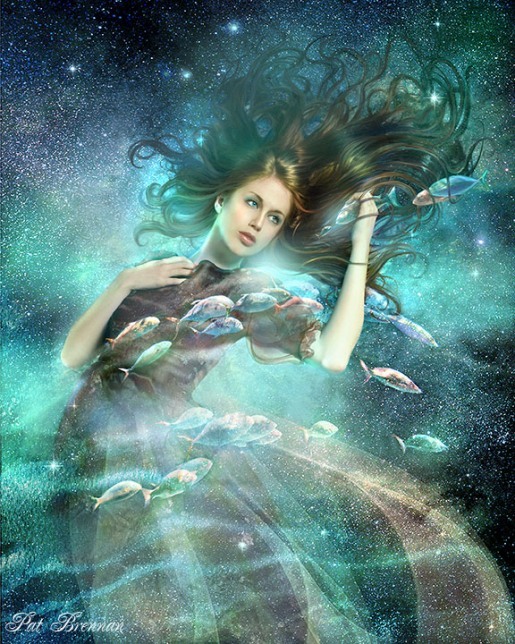 Life begins to look up again for you this week, Aquarius, and it will be easier to attract favorable attention. You might still be dealing with one slow down after another at work but you should begin to notice more support from coworkers. Demonstrating kindness and compassion for others may be easier than usual for you now, Pisces, especially the first of the week. The urge to explore your favorite form of self-expression begins to return midweek though it may be awhile before you have time to act on those feelings.